I can if the numbers are there. probably need to make 50 to get the price lower. remember to build it costs about $500 and to build the 060 and Picasso is about $500 more (in AUD). that's about what it cost me to build the 3 boards complete and it took a long time to source parts because some are very difficult to find. yeah so far I've done it all by hand, I was going to hot air some stuff but there are some things too close together and I'd end up messing up other components I've already got on. Its certainly an odd mix, being 50% SMD and 50% through hole. Some of the unobtainium parts are a pain, I sacrificed an A500+ motherboard to get some (crystal, DB23 connectors etc). The rest, I think I was lucky as nobody else at the time was buying up those parts (Amber IC, plenty of 2mb agnus around etc), now, good luck getting Ambers, and the correct Agnus are not as easy to find. Kipper reverse engineering the video hybrid was also good timing! A 50mhz 030/8mb is going to be quite snappy for what I want to mess around with, I dont really have a massive urge to go 060.
you can make that 68030 double-sided connector using male and female machine-pin strips. that's what I did and what everyone on A1k.org did. Intric8: I found out a bit more about the GBA 1000 design. I actually found the Eagle files/schems/board layout/pal files etc for several Phoenix expansions made by Georg Braun around 2004-2006. A VGA Flicker Fixer based on Amber, 8MB RAM expansion and a 68030 accelerator card... all expansions for the Phoenix board. This info is enough to re-make those boards if desired. 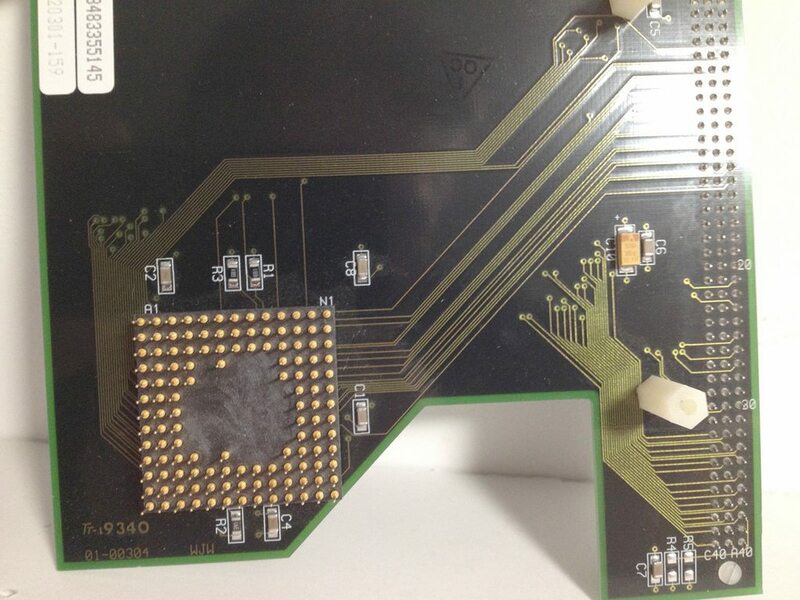 It looks like Georg did not design the GBA 1000 from scratch as people think, he actually just put the cards he made for the Phoenix onto one board and built the GBA 1000 around them. If you compare the two board layouts, they are *very* similar so Georg obviously had access to the Phoenix schematics and board files when designing the GBA 1000. So that is why those parts are a poor choice, because they were current at the time when those Phoenix cards were designed and he just re-used the same designs on the GBA 1000 board. The rev 5 motherboard solved all those problems but sadly he didn't release the files so the 10 rev 5 boards in circulation are pretty much priceless now. I thought everyone knew GBA1K stemmed from the Phoenix design. Swap the SCSI for Oktagon etc. I remember drooling all over Phoenix when I read ACAR magazine back in Melbourne but as a kid, that kind of money they wanted was insane lol.